Although fitness may be a drag to most, we often deny ourselves the pleasure of seeing and feeling ourselves sweat. Sweating may be icky and yucky, but it is in all ways wonderful for your health. Sweating allows for your pores to open up, purging the body of all toxins. Allowing for yourself to be beautiful on the outside, one must take great care of the inside, and vice versa. If you take the time out to get a work out session in, you will sweat, which then pushes out all the bad clogging your pores such as pimples, blemishes, makeup, oils, and more. If you are completely opposed to sweating, try slow, brisk, or fast walking. You can always listen to music to make your walk go by faster. Walking, especially outside as opposed to a gym is harder to keep track of since you do not have a machine under you telling you every aspect of your workout, including the amount of calories lost. But, that is where inKin comes into play. InKin is a social platform, founders and sisters, Zara and Lena, that allows you to work with and team up against friends and strangers to track your fitness. Downloading this social platform will be very motivational for both you and your newest competitors. 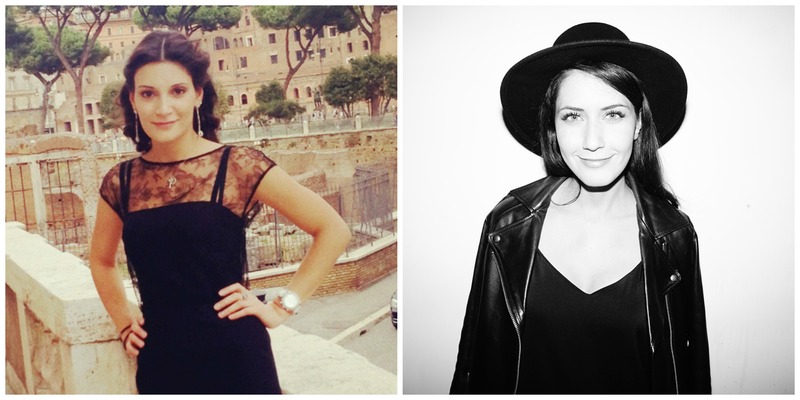 Both Zara and Lena let us in their creative world about how such an amazing application like inKin came about. Check out what they had to say and inform us about! inKin Challenge– reach either your daily or total goal during a certain time period. inKin Competition– the participant who reaches the highest metric wins the contest. 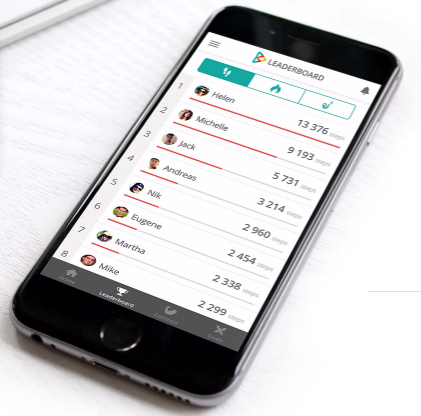 inKin Team Battles – gather your friends to compete in up to 5 teams. inKin Duels– 24-hour head-to-head step competitions with other community members. Our MyTopFace expert team teamed up to see who was the most and least productive. Going against each other with the help of many different devices allowed for us to keep each other motivated and connected as a group. MyTopFace: Where did your fitness interest begin? Zara: Ever since kindergarten my Mum would always take me to random dancing and ballet classes. I hated sports at school and would literally do anything to avoid going to the gym class. I actually almost got expelled for not passing a compulsory gym test in the 7th grade (thanks to that I have one badass story to tell to my kids). As I got older, fitness became fashionable, so I turned into one of those people who would pay for a gym membership and only show up for 3 or 4 group classes in an entire year. Or, I used to promise myself I would start practicing yoga “on Monday”, needless to say, Monday never came! Then, in the Summer of 2010, I was super bored and decided to hire a personal trainer in my local gym. Since then, working out kind of grew on me. Lena: Unlike Zara, I always loved gym classes at school, played every possible game and enjoyed running. I also went through a phase of personal trainers. But then, I discovered boxing! It is a complete upper and lower body workout, and it strengthens your core and reduces stress; after work, it was just what the doctor ordered. Now I’m older and wiser, so I also pay attention to my food, which often requires will power. MyTopFace: Out of all the fitness apps to create, where did the idea of inKin originate from? Health and well-being are everyone‘s most vital and valuable asset. We see fitness and medicine as two sides of the same coin: fitness and healthy lifestyle choices help prevent health problems, whereas medicine deals with them once they occur (sadly there are still medical conditions we can’t prevent). Given the world we live in, it was only a matter of time before health would become digital too. The giants like Apple, Google and Microsoft have already started building systems to make it happen. The success of Fitbit, Jawbone, Garmin and many others proved that customers wanted and were ready to learn more about their everyday activity. So, given our personal experience, we wondered, how can we help people to start a healthy journey? In response we came up with the idea of a cross-device platform that can educate people, aggregate their fitness and health data from various fitness devices and apps. In addition, we wanted to help people get active through socializing with their family, friends, and co-workers and stay motivated by introducing friendly competitions, gamification, and rewards. MyTopFace: Why is promoting and encouraging fitness with the connection of friends, family, and others around the world so important to you and your team? We know how hard it can be to start a healthy journey and keep it going. We all need someone to be there for us, to root for us, to motivate and even praise us. But, people are different: some of us like to be challenged while others prefer to take their own pace, so we wanted to establish a friendly community which gives everyone what they are looking for and need to stay on the right track. Plus, we get a daily dose inspiration from our dear friend and co-founder, Aram, who has lost an incredible 30kg (66 lb) in one year! Readers, if you take your health as serious as both the inKin and MyTopFace team visit our latest article about Cryotherapy at Kryolife. Kryotherapy supports health as it helps boosts one’s metabolism and blood circulation just like a sport would. What most popularly makes up some of the most gorgeous bodies and faces are a variety of treatments conducted, just like this one. Along with up-keeping your health, vitamins are essential! Our experience with Vitagurl was amazing and you can experience all things positive with them, too! Remaining active and physically fit and healthy can help you achieve your perfect body. At whichever stage your body is most perfect for you is what counts. If a bikini body is what a perfect body means to you, this app can help you achieve just that! BikinBod can also help. All good health and all things positively beneficial for your inner and outter beauty takes determination and willpower. Share our tips and this very inKin app with your besties! Motivation amongst your group of friends is the BEST motivation! MyTopFace: On a scale of 1-10 how motivational would you propose viewing other’s fitness achievement on the app is? It really depends on the person. If you’re naturally competitive, you will go the extra mile to beat someone. For example, when we launched the Euro 2016 Step Challenge in June, our Dad was taking walks around the office each day to boost his steps and help his team. If you are not competitive, then other’s achievements can inspire you and prove that anything is possible. For example, when one of our brand champions, Maxim, decided to test himself with the “100K steps in a day” challenge, none of us jumped straight into that to join him (Zara: Do you know how far 100K steps is? I’ve tried to complete this challenge, and it nearly killed me! But the amount of support and admiration he received from the community was truly touching. Plus, monitoring your loved ones’ results and health data allows you to give them a little nudge in the right direction if they need it! MyTopFace: With such an incredible and marketable idea, why did you decide to make it free for all to download? We want everyone to be able to enjoy our platform. We were adamant from the start that it should be accessible to all. Our platform for customers is, and will, stay free. However, we are testing a beta corporate wellness solution, which we plan to charge companies for. Also, we are planning to introduce a premium paid service in 2017 for those customers who want enhanced features. MyTopFace: Up to how many devices can this app connect to? Currently, inKin supports almost all major fitness tracking platforms and over 50 devices, including Fitbit, Jawbone, Misfit, Withings, iHealth, Microsoft and Garmin, Lumo, and The Moves app. Soon we will also support the Apple Watch, Samsung, and many others. Each customer can connect to inKin as many devices or apps as they like, so the sky really is the limit. They can also choose a data source for each of our 20 fitness and health metrics, including the manual log. MyTopFace: Up to how many friends can one’s inKin app add? MyTopFace: If an interested reader were curious to know if they can use inKin without a step-calculating device, is that possible for them? You can always use inKin either with The Moves app or connect Withings, Jawbone or Fitbit apps that work as pedometers, too. Also, our manual log allows you to enter data on the website manually, except for the 4 main metrics we run competitions with (steps, calories burned, distance, and active time). But that will be improved soon, too. MyTopFace: Would you encourage or recommend a certain number of steps to walk daily in order for one to remain healthily active? An average person makes about 3000-4000 steps a day simply by sticking to their routine. So the 8000-10000 steps recommended by most health organizations does make a lot of sense. Once you put on a tracker, you’ll know your average result, and you can gradually adjust your daily goal to meet either a 10K or more target. Bear in mind that certain workouts, such as swimming, yoga, cycling won’t boost your steps, but it doesn’t mean you are not active enough. So, the important thing is to be comfortable and to enjoy your activity rather than torture yourself because you “have to meet that 10K”. We regularly share valuable tips about various cool workouts, fitness routines and tricks on how to meet 10K a day on our health and fitness blog. MyTopFace: As one of many fitness platforms, how does your application far exceed the others for being most efficient and useful? inKin is not just about the fitness tracking. Sure, our challenges, competitions, team battles, duels, and ranks help people get more active, but, more than anything inKin is really about knowledge and community. Educating yourself about your health and making it a priority is the most important thing. Then, you can also be aware of your loved ones‘ well-being! MyTopFace: Will inKin ever be altered to be a step counter in itself? MyTopFace: Does the inKin application have to be opened in order for it to count? inKin automatically receives data from your vendor (Fitbit, Garmin, etc.). However, you need to sync your device to your Fitbit or Garmin app for us to receive and analyze that data. MyTopFace: Is there any exciting or new features coming to the inKin application? Absolutely! There is a lot of interesting stuff cooking in our tech kitchen right now. Stay tuned for our updates! MyTopFace: Beauty is about what is on the inside and if there is one way beauty relates to health is that being motivated and determined within will allow for best results on the outside. How important is inside and outside beauty to you? Zara: I think the beauty comes from within. You can spend thousands of dollars on beauty products, treatments, and stunning outfits, but if you’re not happy, or if something is bothering you, these emotions will reflect on the outside too. So, my advice is to sleep well, eat well, exercise and do all the things that make you genuinely happy, so you feel better from the inside out. Life is too short. Lena: If you feel great physically and you like everything about your body, it improves your self-esteem. Exercises reduce stress level, boost happy chemicals and brainpower, and have so many other benefits that lead you to a healthy and happy lifestyle. So, you will eventually see a glow on your face! MyTopFace: As the creators of this app, do you use it at all? Zara: Every day. though I can’t say I’m proud of my results. Lena: I am literally addicted to it! I am very competitive and when it says “Duel is on!”, I get crazy and won’t relax until I beat my opponent. By the way, a small tip for stay-at-home Moms: cleaning, ironing, and all that homemaker stuff will help you reach your step goal! Regardless of how busy our MyTopFace experts are, we make sure to take the time out to correspond our outside beauty with out inner beauty, and you can do the same!